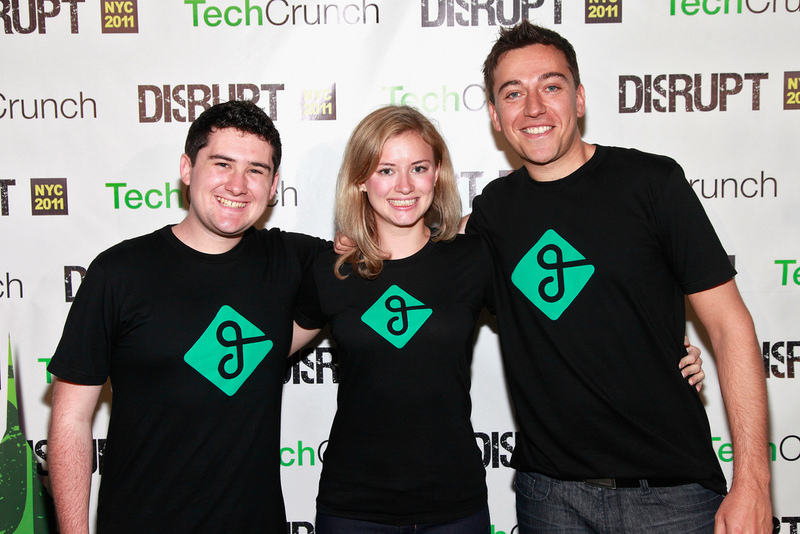 Tech Crunch has just announced GetAround as the winner of the 2011 Tech Crunch Disrupt Conference in New York City. Both Tech Crunch’s Mike Arrington and Erik Schonfeld said this was the best group of startups to ever compete at Tech Crunch Disrupt. Yesterday, during our interview with GetAround, the founders said if they win they will take Arrington for a spin in the Tesla they brought to demo their app. For GetAround, it’s looking like green lights from here. GetAround is a San Francisco based company that has tapped into the market of collaborative consumption, acting like the AirBnB of car lending. With over 250 million cars in America that sit parked and idle for 22 hours per day, GetAround is a new way for people to share cars. Instead of buying a car, you can rent one instantly from someone nearby and car owners can earn thousands a year by sharing. The GetAround mobile app works with the GetAround car-kit, which is the first ever device to securely share access to your car using only your smartphone. GetAround’s insurance policy is backed by Warren Buffet’s Berkshire Hathaway. As of 30 minutes ago, 1,600 new cars have signed up, representing nearly 20% of ZipCar’s fleet. The San Francisco based startup launched in September, 2009 and has raised $1.5 million to date led by General Catalyst. GetAround also won the audience choice award. Read our full story on GetAround’s launch here. Sonar is a mobile application that uncovers the hidden connections that you share with everyone else around you. Open the app and the app pulls in trending venues nearby. It then presents a “Who’s here” list ranked by relevance. Relevance is ranked by pulling public data from Foursquare,Twitter and Facebook; social connections, network affiliations, shared Likes, shared interests are all factored into Sonar’s relevance algorithm. We all share so much of ourselves online, why not use that information to make connections? Sonar acts like Rapportive for the real world; your own personal attache to remind you who you should (and shouldn’t be) speaking with, and it’s a great spotlight on those interesting people who are just two degrees away. Sonar has spent $250,000 developing its product to date. For monetization strategies, Sonar announced a project called “Promoted People,” for people who want more visibility. “This is better right now than Color has ever hoped to be in my opinion,” said Tech Crunch’s Mike Arrington after their demo. While there are several apps with the name of Sonar in the app store, last week this Sonar was #18, now it’s #1. Read our interview with Sonar here and our launch story here. In the U.S., there is $7 billion in annual credit card fraud, and banks will only catch a third of it. Launched in April 2010, Bill Guard is the world’s first people powered antivirus system for bills. Its predictive algorithms alert users of unwanted charges such as hidden fees, billing errors, scams and fraud on credit card bills. It also alerts you when a charge on your credit card has been flagged by others on theirs or is complained about on the web. Users can flag charges with one click. Other features include seeing your recurring subscriptions and lightning fast filtering, e.g. “see all charges below $5″. Phase 2 of Bill Guard’s product will actually help users get their money back. Bill Guard is in talks with 4 of the top U.S. banks to have them actually deliver Bill Guard as a service directly to their consumers. On Monday night after its launch, over 10,000 cards were registered. Of the new users in the system, Bill Guard found a bad charge on over 20% of their cards. Lastly, the fraudulent charges ranged from $2-$6,000. Both merchants and users receive a “reliability score” so that even if users “cry wolf” and claim false positives, there’s a judgement system in place. Their monetization plan is simple. Your primary card is absolutely free. After that you can upgrade to a premium version of Bill Guard for $4.00 per month for unlimited cards. The NYC based startup has caught the attention of a number of well known investors, including Bessemer Venture Partners, Chris Dixon, Ron Conway, IA Ventures, Howard Lindzon and Yaron Galai and has already raised $3 million in funding. Lastly, Bing provided an award to Do@, which gives the team a trip to startup camp and launch party sponsorship. Do@ has built the ultimate mobile search experience. The free iPhone app pulls in dozens of popular apps to answer your search query. For a movie query, it will pull apps like IMDB, Flixster and MovieClips. And it doesn’t matter if users have that app on their phone or not, so it’s a win for publishers too. The UI enables users to scroll through the results like they do with photos on their iPhone, with an interface aesthetically similar to Flipboard. Read our interview with Do@ and a demo of the Do@ iPhone app here. An epic 3 days. A number of amazing startups. Congratulations to everyone who participated! To see our story on the 6 finalists, read here.